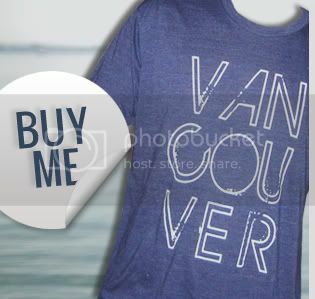 Vancouver, we love you Shirts For Sale At Gather Pop-up! 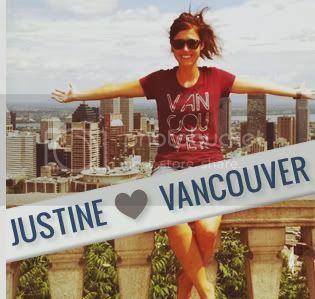 We have some awesome news to share... our Vancouver, we love you shirts will be for sale at the Gather Pop-up Shop in Gastown this July!! Gather is the brain/love child of Ally Day and Carianne Nesler (Co-Founder of Cargoh.com) and it's this summer's hottest social shopping event. Showcasing some of the coolest designers around, Gather is the place to check out unique clothes, jewellery, and other items. It will also host informative workshops with local creatives. 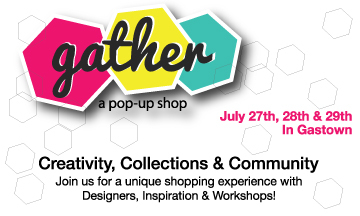 But it's a pop-up shop which means it exists for just a quick moment… Gather's only around July 27th, 28th, and 29th. 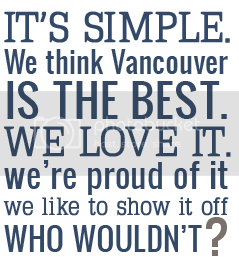 If you've been thinking of getting a Vancouver, we love you shirt but want to feel it out and try it on first, here's your chance. We'll even give you a high five just for stopping by to say hi. And even better news, we'll also have some of our limited edition items such as our Vancouver, we love you water bottle, rainbow print shirts and hoodies available for sale as well! Mark your calendars and plan to come check out Gather.